I am in my element when given a creative project. 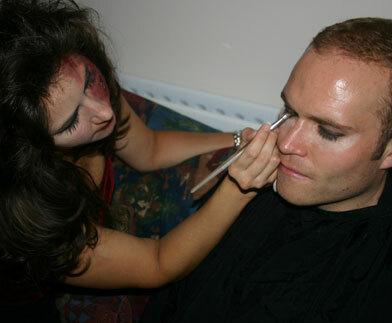 I thrive, creating make-up to deceive the eyes - making a fantasy believable through special effects or body painting. Whether it is a beautiful mystical creature or a gruesome ghoul I love getting my hands dirty for my art! One of the best compliments I received was when a crew member said he felt queasy looking at a wound I created for a shoot! If you have a project requiring Creative Make-up, please contact me for a quote.